Ventless fireplaces, more accurately known as duct-free fireplaces and room-venting fireplaces, are a type of residential gas-heating device. Ventless fireplaces are preferred because they burn at nearly 100% efficiency, release far less harmful gasses than most other heating alternatives, and their installation is restricted little by architectural constraints. They are controversial, however. Despite their name, they vent unburned combustion byproducts directly into the living space. Traditional fireplaces, by contrast, are equipped with a flue that vents to the outdoors, saving humans and their pets from exposure to the bulk of the carbon monoxide (CO) and airborne particulates created by the fire. As a less serious yet still important side note, ventless fireplaces create high levels of water vapor, which can lead to mold growth and a variety of other moisture-related building problems. Mold can be a serious health hazard for at-risk individuals, and it can damage fabric, photographs, books and building materials. To mitigate CO dangers, manufacturers instruct customers to keep a window open while ventless fireplaces are in operation –- advice that is easy to ignore, as an open window allows the entry of cold air, defeating the efforts of the fireplace to warm the living space. Many manufacturers also install an oxygen-detection sensor (ODS) in their ventless fireplaces that will automatically shut down the appliance if oxygen levels in the home become dangerously low. Critics point out that this sensor is typically located at the lower part of the unit near the floor, where it detects cool, fresh, oxygen-filled air and misses hot combustion gasses as they rise and pool toward the ceiling. And if the sensor fails, any CO-producing abnormality experienced by the fireplace will continue unnoticed and potentially harm building occupants. Massachusetts, California, and a number of other states in the U.S., as well as Canada and other countries, have outlawed ventless gas fireplaces due to the aforementioned safety concerns. Many individual municipalities, too, have outlawed these appliances in states where they are otherwise legal. The U.S. Department of Housing and Urban Development bans ventless fireplaces in their housing, and advisements against the use of these appliances have been issued by various watchdog groups, such as the American Lung Association, the Centers for Disease Control, the Environmental Protection Agency, and even the Mayo Clinic. In particular, these organizations warn against exposure of individuals who are particularly vulnerable to CO, namely, the elderly, pregnant women, small children, those with pre-existing cardiovascular difficulties, and small pets. To be fair, though, there have been no documented cases of fatalities caused by ODS-equipped ventless fireplaces, according to the U.S. Consumer Product Safety Commission. the fireplace is oversized for the square footage of the area to be heated. a missing or defective ODS. As these components may fail, it is advisable to install a CO detector near a ventless fireplace and, ideally, in other rooms, as well. 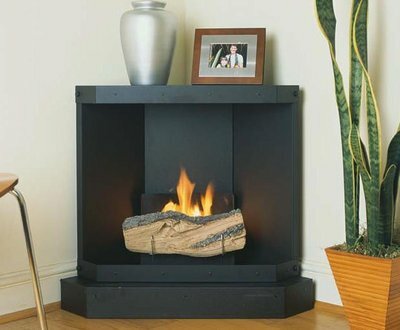 In summary, ventless fireplaces, while attractive and portable, suffer from a design flaw that may allow dangerous gases to enter the living space.